Last week's party was loaded with so many great ideas and inspiration. Our Home Away from Home shared this beautiful burlap and lace runner she made for her kitchen island. I love all of her fall decor. Gorgeous! Calypso in the Country shared her fall table setting. I love the touches of red and the simple elegance of the apples in baskets. Picked and Painted transformed a buffet by painting it a custom homemade chalk paint in red. 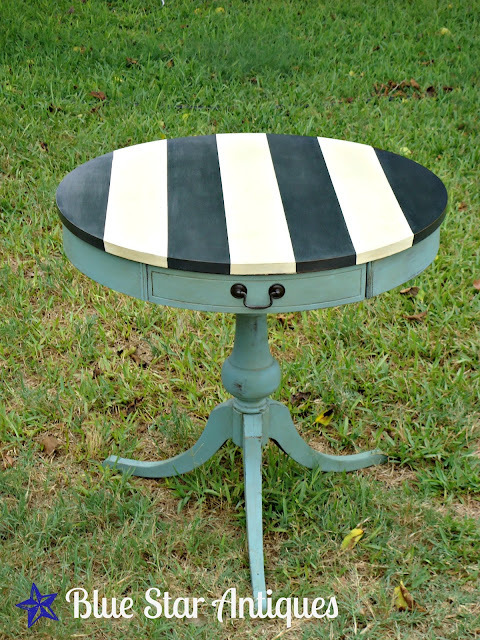 Blue Star Antiques transformed a flea market find into this beauty. I just love the striped top. 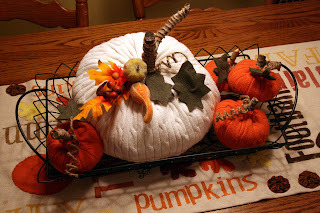 Priscillas shared her DIY sweater pumpkins made using sweaters she bought at Goodwill. This is such a great project. I need to make these! 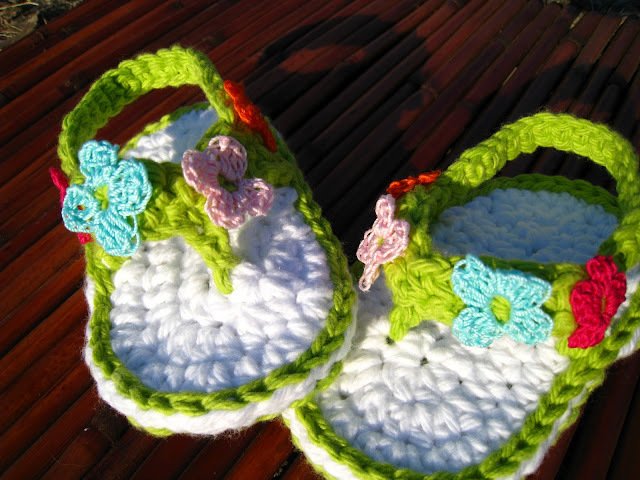 Easy Peasy Grandma created these super cute Fall baby sandals. So adorable!! Akawest shared her recipe for the world's best brownies. I'm going to have to test this recipe out. 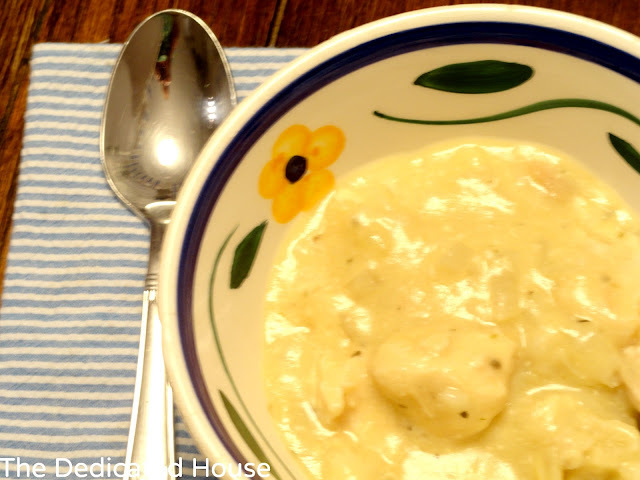 The Dedicated House shared her recipe for chicken and dumplings in a slow cooker. With the cooler weather here, my slow cooker is used all the time. I can't wait to try this recipe. Thanks for featuring my thrifted sweater pumpkins ! Hi Judy - Thanks for stopping by and letting me know about your fun party! Fun features! Those brownies look amazing! Hi Judy, those are great features, those brownies really have my mouth watering.Thanks for hosting and inviting me over. Great party! Thanks for the invite :) I've tried to add your party button to my blog, but for some reason I cannot get it to show up within the post nor on the sidebar...sorry! Thanks for hosting week after week, I happy to be joining in this week! Thank you so much for featuring my table setting and thanks for hosting today! Thank you for inviting me over! I am so happy to come by! Thanks so much for the feature! and thanks for the party! Always enjoy checking out the links here! Thanks for hosting, those features are awesome! Judy, thanks so much for featuring my table! And those crochet baby sandals!!! Too bad my new grandbaby is a boy! Thank you for hosting! Love those sweater pumpkins! Thanks so much for hosting and for the invite! Love your blog! Those brownies look delicious! Thank you for hosting! What great inspiration for fall. I love the features. Thank you for hosting a great party ! Judy, thank you so much for the feature!!! So happy you liked my burlap runner! And thank you for hosting this fabulous party every week! Always look forward to joining the fun! Thank you so much for inviting me to your Link Party! What a great blog! You are one busy girl!! Have a great day! Thank you for featuring my red dresser! There were so many great features...I love those baby sandals!! Thank you for hosting. Great features as always. I love this time of year. thank you for hosting this party. i just found your blog and am excited to look around!